Built in 1907 for Portland mayor Charles B. Clarke, this nearly 14,000 square foot brick mansion was designed by Ernest M. A. Machado, fronting Portland's Western Promenade park. 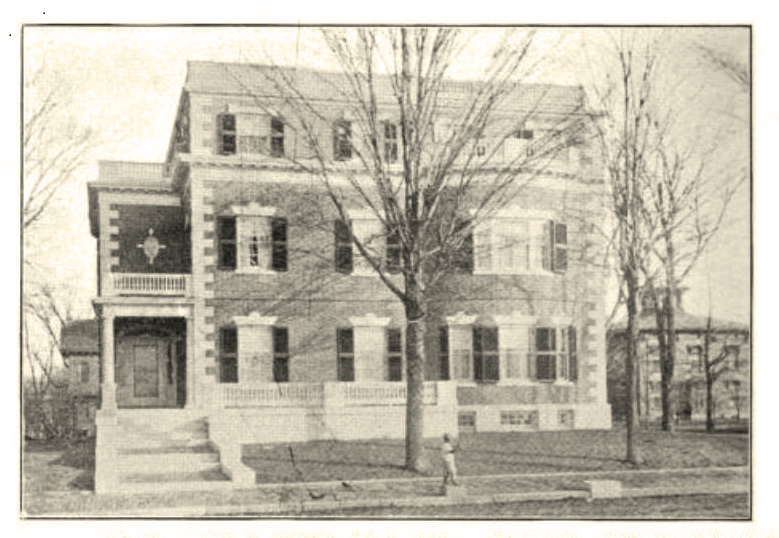 The property was later occupied by James P. Baxter, Jr. and other prominent Portland residents. Most recently the property suffered when owners facing financial difficulties left Portland in the face of foreclosure, stripping original fixtures that were easily removable--including nickel-plated bath fixtures and brass light fixtures. The property then was entangled in a foreclosure action, and left derelict for several years with no maintenance. This was a property nearing the point that it would soon be prohibitively expensive to save. It needed attention and love, which had been long absent. In planning the rehabilitation, the new owner, 223 Western Prom, LLC, worked closely with the Portland Historic Preservation Review Board, and also sought input from the Maine Historic Preservation Commission, Greater Portland Landmarks, Maine Preservation and other interested groups. The developer reached out to the neighborhood and with its support, TTL Architects and Waltman & Company Design developed the design concept converting the 13,000 square foot, single-family residence into three large condominium units. The secondary living space in the rear wing of the house and a neglected carriage shed had been gutted and poorly renovated in the 1980s. The main portion of the house, although suffering from neglect, was largely intact. Fortunately the team was able to set up a conversion design that would keep the significant mansion interior almost completely intact for new Unit #1. 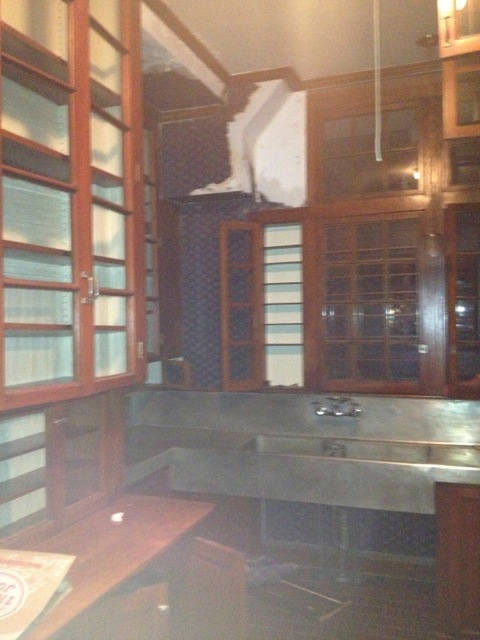 They removed the poorly rehabbed work for the creation of new Units #2 and #3. Flying Point Construction served as general contractor, while George Reiche Restoration acted as project coordinator. Throughout all three units mechanicals were replaced and sprinklers were added. On the exterior, 75% of the roofs were replaced, extensive masonry restorations were undertaken, and wood trim was restored extensively. Susan Carter of Gnome Landscapes completely redid all of the grounds, and Tim Green of Standfast Forge restored all wrought iron fencing and rails. Sutherland Conservation Consulting, Inc. guided the rehabilitation of this National Register property in keeping with the Secretary of the Interior's standards. The Charles B. Clarke House has now been restored in a manner that should be a source of pride for all stakeholders: the occupants, the neighborhood, the city, the project reviewers, the project development team, and local historic preservation groups. Because of the thorough attention to historic detail and sensitive treatment of historic fabric, Maine Preservation is pleased to present the owner Ford Reiche and the Charles B. Clarke House project team with a 2014 Honor Awards for Rehabilitation.